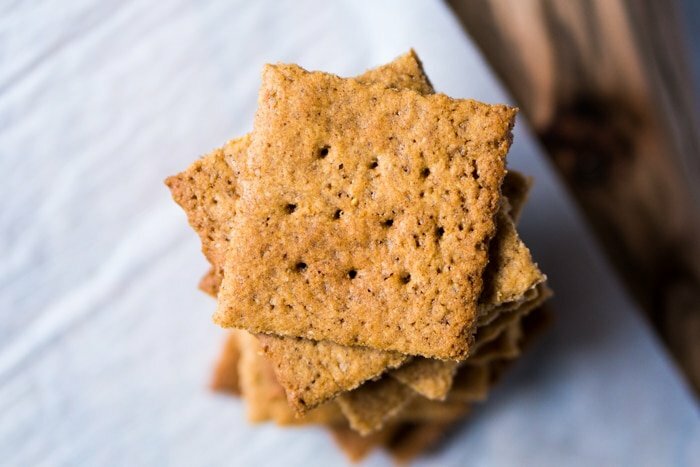 Gluten Free & Keto Graham Crackers 🍪 Scrumptious! 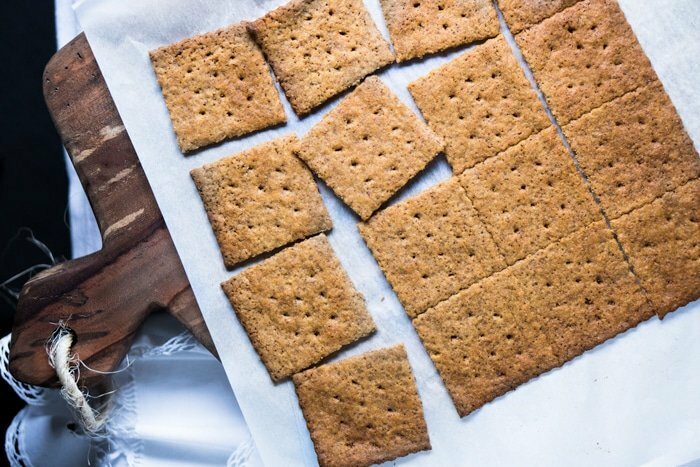 Our gluten free and keto graham crackers just got a big makeover, making them much (muuuch!) crunchier. Plus less ingredients and even less carbs! With s’mores season fast approaching, we’re getting the basics ready for you! And yup, it seems like there will be a marshmallow sub quite soon after all. 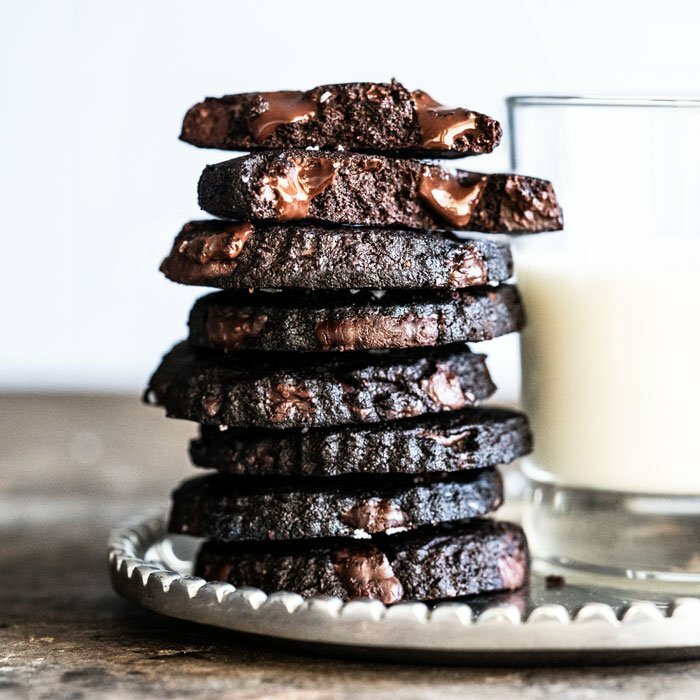 So keto s’mores are definitely in your near future (hint hint!). 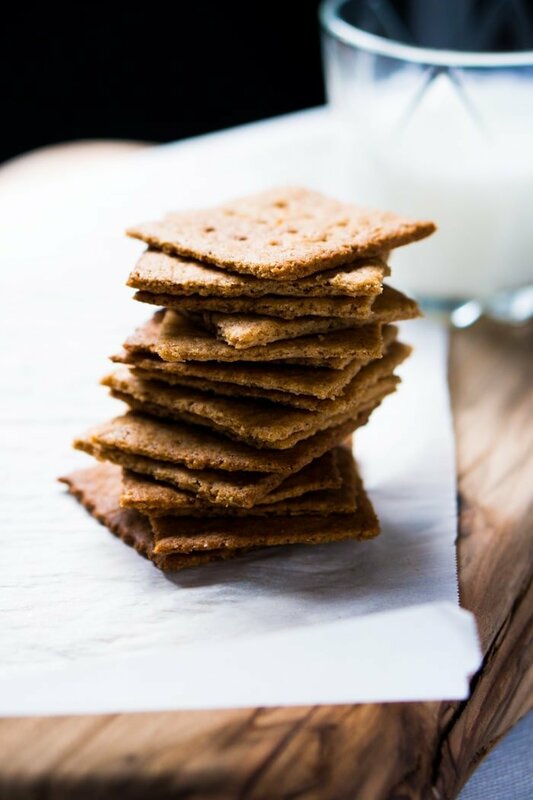 So this recipe for keto graham crackers is essentially our popular grain free & keto cinnamon toast crunch slightly reworked. Many of you have coincided that it tastes like graham crackers without the cinnamon sugar topping (and less cinnamon! ), and we must definitely agree. Plus, think less than 1g net carb a cookie! 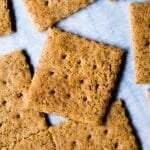 Graham crackers are traditionally a wheat cookie. To make them gluten free and keto, we found that super fine almond flour did a killer job (solo!). Add a touch of xanthan gum, and we’re golden. Note also that we add a bit more baking soda than is customary (1/2 teaspoon rather than 1/4 or even nil). Reason being, that the slight bigger rise helps aerate the almond flour and get a better texture. This recipe works best with Swerve or Pyure, with a preference for the former as it has the least aftertaste. Erythritol lends a very similar crunch and chew. 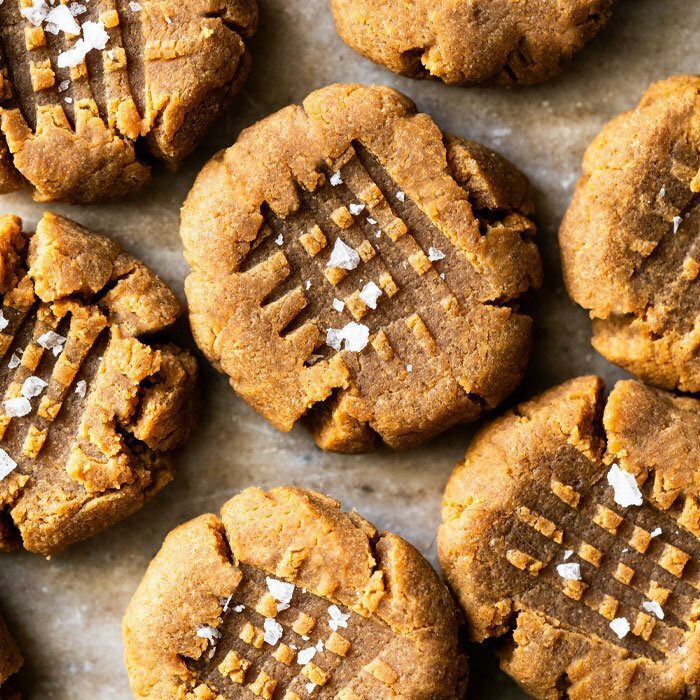 No other sweetener did that (xylitol takes up to a day to crunch up and will result in chewy crackers!). Add almond flour, xanthan gum, salt, baking soda, and cinnamon to a medium bowl. Whisk until thoroughly combined and set aside. Wrap cookie dough with cling film (saran wrap) and refrigerate for at least an hour and up to 3 days. Roll out the dough between two pieces of parchment paper until nice and thin. Using a ruler or pastry cutter, cut dough lengthwise and then crosswise into squares. Prick each piece with a fork (optional). 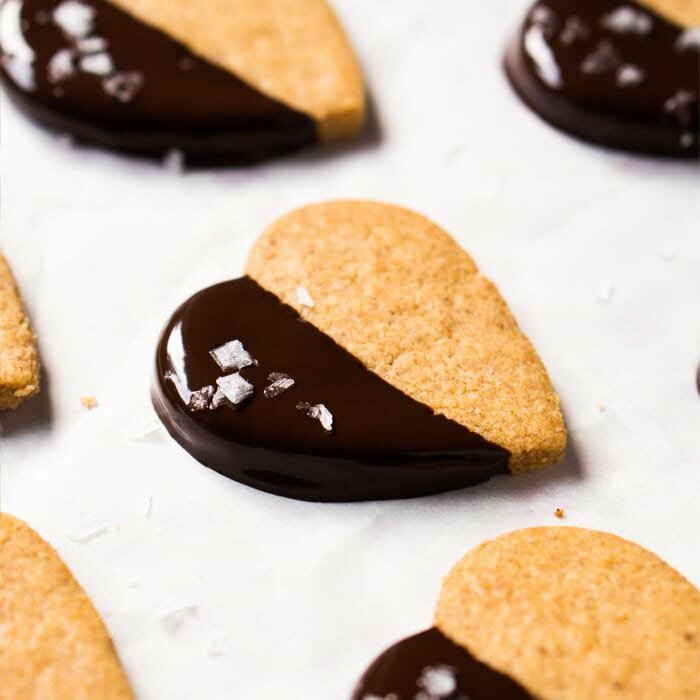 Transfer parchment paper with the keto graham crackers to a baking sheet or tray, and place in the freezer for 10 minutes prior to baking. The shaped dough can be frozen for up to 3 months, and baked straight from the freezer (adding 2-3 minutes more to the baking time). *Coconut butter can be substituted if dairy free or paleo. Just note that your graham crackers will be less airy (and therefore crunchy). Do you have any recommendations for alternative flours, orther than almond. I have an allergy to nuts and can not find an alternative for subbing out almond flour…that actually works. It’s hard trying to make everything work with coconut flour as it’s so different. I would love to make these! Have you tried sunflower seed flour Nicole?! It’s a 1-1 sub and readers with nutcaklergies swear by it! Just keep in mind that with baking soda it can turn green xo! By themselves, not a hit… sorry. May be a personal thing. However, put a keto marshmallow in between two of them and POW, they are awesome! Seriously, just one of those bad boy sweet sandwiches and I’m Satisfied with a capital “S”. I followed the recipe to the letter (metric measurements) and they came out limp and I found them grainy with little taste. What sweetener did you use John? With erythritol they’ll go crisp after a couple hours xo! 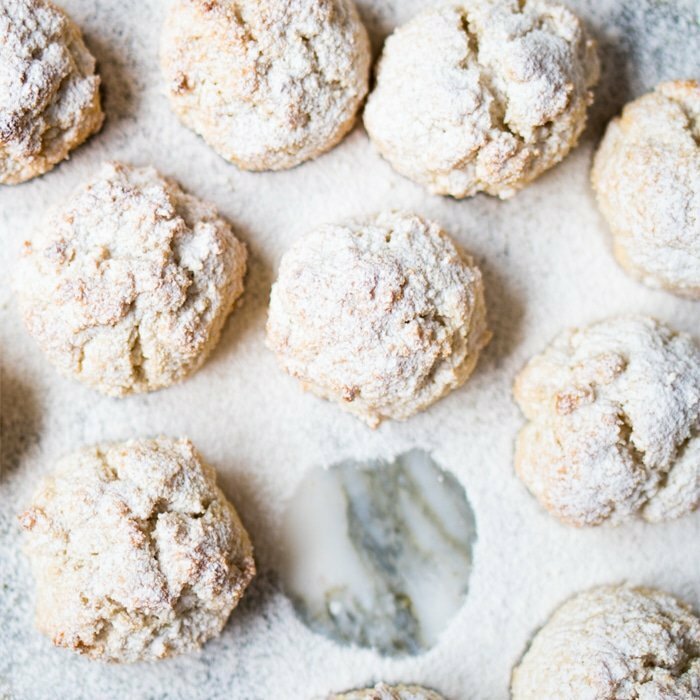 My husband is Keto, and I really want to make these for him, but I have a son with severe tree nut allergies and cannot have almond flour in the kitchen. Can coconut flour be a substitute? If so, what are the conversion measurements, or is there another option? Thank you! Very good ✅👌 made with coconut sugar instead. Came out great. I made as cut out Grahams in shapes of pumpkins and ghosts👻! Came out great. Just did em the same way as the squares on wax paper. I also sprinkled with some coconut sugar and cinnamon. I’m confused. Is there 24 servings or 24 per serving? Because the recipe says 24 servings but everyone in the comments says 24 per serving. That’s a big difference! I won’t use these often so I don’t want to waste them. 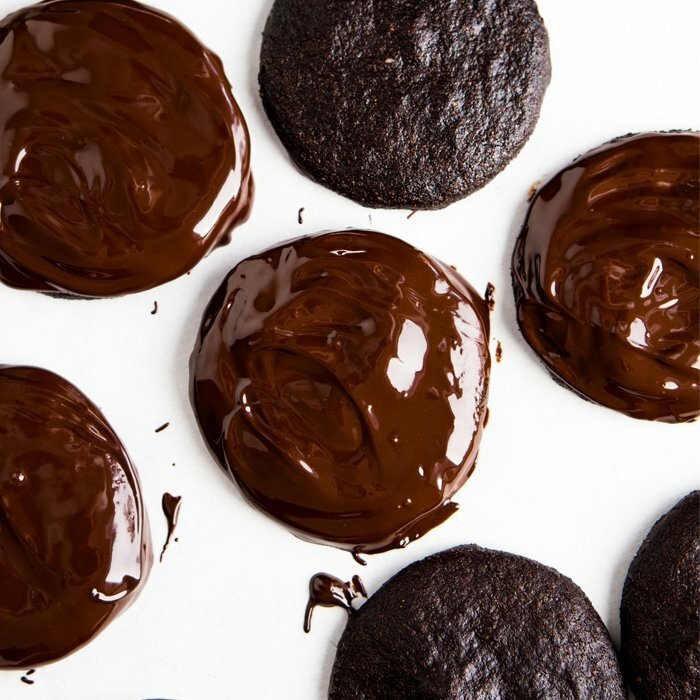 Will these stand up to freezing in small batches? 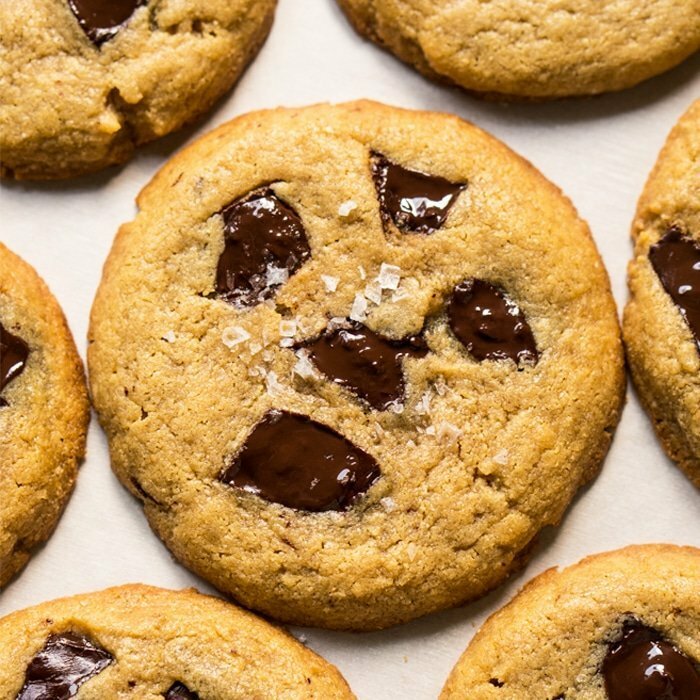 You can either freeze them shaped and unbaked (= fresh cookies on demand), or yup just free them baked xo! what is the conversion of grams to cups? just click on US Cups below the ingredients!